Guided Climbs of Mount Gimie – Hike with us to the summit of St Lucia, Enbas Waterfall, Edmund Forest, for birdwatching, and many more! Hike with us to the summit of St Lucia, Enbas Waterfall, Edmund Forest, for birdwatching, and many more! We’ve created a new video describing our group and our trips! Click here or on the link below to watch it. we do sunset cruise and whale watching. Night excursions like Gros islet street party, Anse la Raye fish Fri,Dennery fish fiesta,Le’cence Soufriere and festa’ Labowi call us an we make it happen. 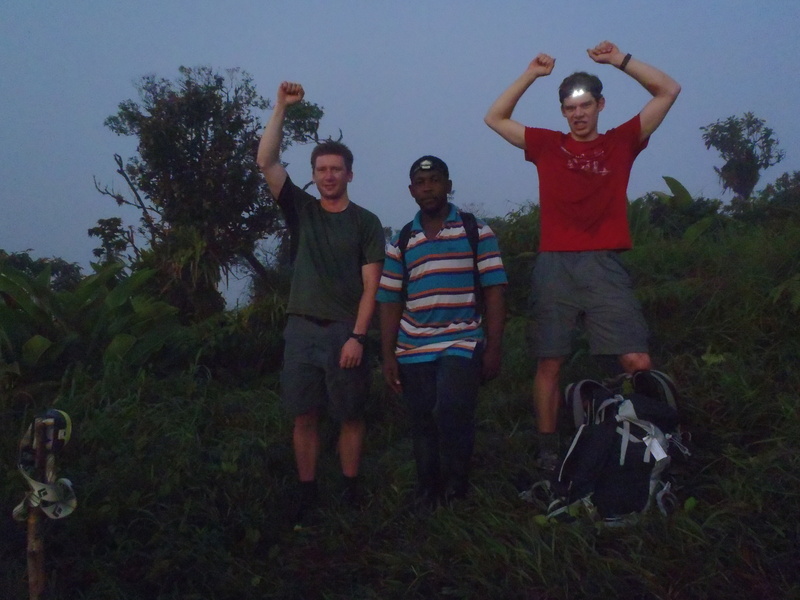 Climb Mount Gimie with us! At 950m (3,117ft), Mt Gimie is the tallest mountain in Saint Lucia, the beautiful, lush, tropical Caribbean country that we call home. While our white sandy beaches here are some of the finest in the world, no trip to Saint Lucia is complete without experiencing the view from one of the most spectacular summits in the Lesser Antilles. We offer guided hikes to the top of Mount Gimie and other nearby jungle destinations. Whether you’re stopping by Saint Lucia on a cruise, vacationing for Spring Break, or looking for a quick weekend adventure, we can accommodate your schedule and your interests. Our professional and experienced staff have been climbing Mt Gimie (pronounced ‘jimmy’) and the nearby mountains since they first learned to walk. 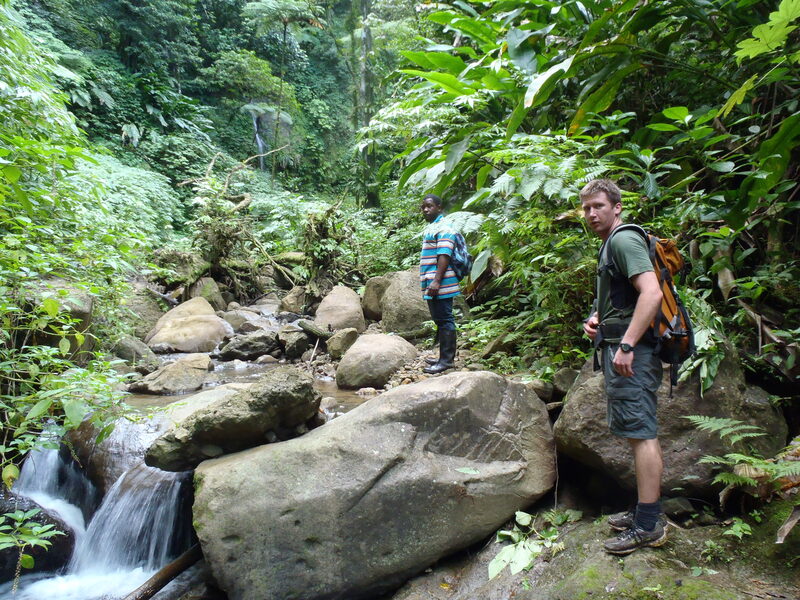 To protect this world-renounded biodiversity hotspot, the St. Lucia Ministry of Agriculture, Forestry and Fisheries, Forestry Department (MAFFFD) requires all Mt Gimie hikers to travel with an officially-licensed guiding company. Our company maintains a special relationship with MAFFFD, and is one of the few companies licensed to guide clients to the summit of Mt Gimie. Please browse our website to learn about the trips and itineraries we offer. See you in sunny Saint Lucia! Left: Two American clients with Miguel on his 24th climb. Right: crossing a river on the descent. Hi, we want to book a guide to climb Mt Gimie for either jan 5th, 6th, or 7th. What is the cost? Beautiful places to know in Saint Lucia, i hope to go there soon! Hi would like to book trip to climb MT Gimie on January 3rd with Miguel as our guide. Thanks for a great climb, Smith and Miguel! Tough but rewarding…St. Lucia is beautiful. I moved to the island a few months ago and want to climb mt gimmie. Please let me know how much and when you are available. I did the rainforest tour with Smith who was really informative. What a beautiful hike to the waterfall! I highly recommend it. You’re an awesome guide and so very knowledgeable. I highly recommend his tours. You will not be disappointed! St. Lucia is rthe most beautiful island and most preferred place out of all the islands. I spent most of my day visiting the forest and took a dip in the sulfur pool..This island is heaven on earth. What made my visit mist memorable were the people. Everyone I met was warn and welciming me to thier home land….I am excited to be able to revisit StLucia and I look forward to booking a rour with Exciting Tour for my upcoming 0 visit. . Staying at the Sandals Grand St Lucian from 11th to 19th Jan 2017. Would like to climb Mt Gimie. Would like to be collected from hotel early, climb Mt Gimie and be returned to hotel same day. Please can you send me details and cost. Bespoke: Anything you wants,we shall try to accommodate you, with fifteen years experience, we will always take you to explore our beautiful island.